THIS PHOTO I TOOK WHEN I JUST PURCHASED MY CANON 1000D. ONE NIGHT AFTER COMING HOME FROM OFFICE , I SAW SOMETHING IS CIRCLING AROUND. I TOOK OUT MY TORCH AND LOCATED THE SUBJECT. 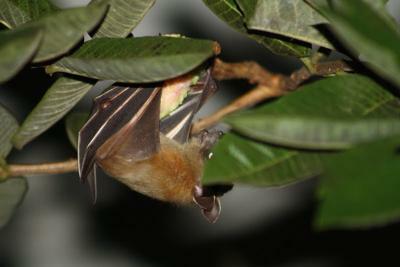 THEN I TOOK OUT MY CAMERA AND STARTED TAKING THE PICTURE OF THE BAT EATING A RIPE GUAVA. 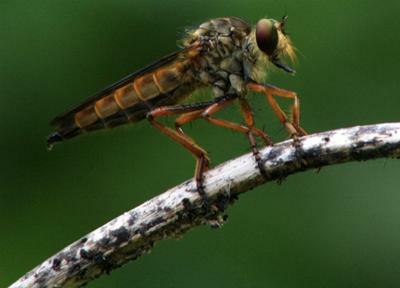 I PURCHASED MY CANON 1000D KEEPING BIRDS IN MY MIND, BUT NOW A DAYS I AM THRILLED BY LOOKING AT INSECTS ALSO. SO OCCASIONALY I SHOOT INSECTS ALSO. Thanks for sending me your picture of a Bat. It looks like you were just in the right place at the right time with your camera at hand. Did the Bat fly away after you took the shot? It doesn't look like you or the flash startled it too much. Now that you have got your very own page, you should encourage your friends to drop by and leave a comment for you. Also, if you are on Facebook, you can share this page on your wall so that all your friends can see your picture of a Bat eating a Guava.